<< Back 1. 2. 3. 4. 5. 6. 7. 8. 9. 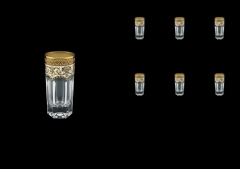 Selection of high-ball and old-fashion tumbles and decanters. Top-quality crystal and beautiful arabesque decoration in ivory, white, black, red, blue or green color, further decorated with gilding.